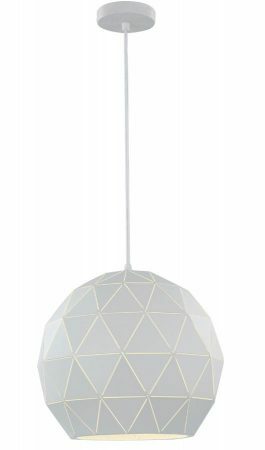 This Franklite Tangent 1 light large pendant ceiling light in white finish is contemporary and features an angular geometric design. 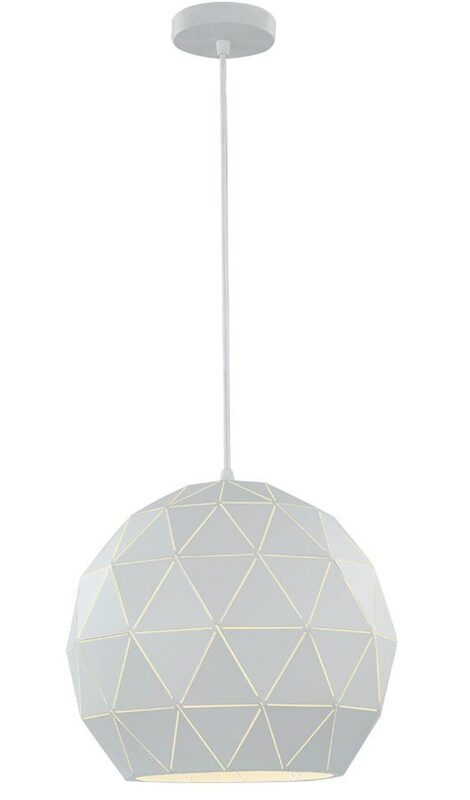 Circular ceiling mount and white braided cable, with large 35cm shade constructed from multiple triangular metal shapes. The geometric design creates a subtle light-spill effect and the white interior ensures that all of the light is reflected downwards. This is a modern incarnation of the beloved ceiling pendant with outstanding quality and attention to detail. It complements a contemporary style home and is perfect for any hallway, bedroom, dining room or living room and particularly suited to a trendy kitchen area installed singly or in multiples. A class 2 double insulated ceiling light no earth required and height adjustable at the time of fitting by shortening the supplied cable, please see below for dimensions. Part of the Tangent white finish lighting range that includes four different sized pendants and a flush mount ceiling light; please see below. Also available finished in rose gold and black with gold brush, please enter the term Tangent in the search box at the top of this page to view the complete collection. This light is supplied by Franklite Lighting who have been one of the pioneers in the design, manufacture and distribution of high quality lighting such as the Tangent 1 light large pendant ceiling light in white finish you see here.